The question, "Where is the best vacation destination in Pennsylvania?" is often the catalyst for the next RV adventure. With so many nearby state parks, lakes, and rivers it is easy to understand why RVing is a favorite way to vacation and travel for many Pennsylvanians. At Metro Self Storage, we understand that a recreational vehicle of any type represents a significant investment, and is one that you will want to enjoy for many years to come. 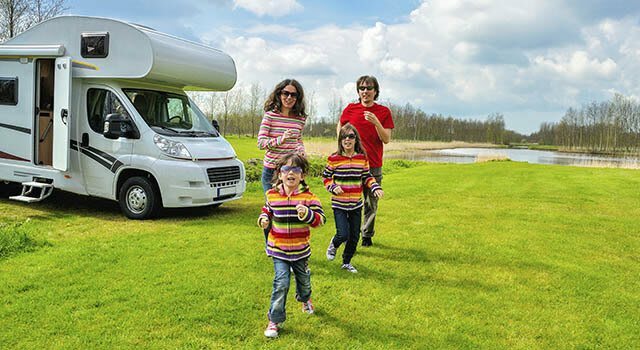 You can enjoy peace of mind storing your recreational vehicle at our North Wales RV storage facility. It is a fully fenced and well-lit vehicle storage facility with electronic keypad access and top-notch customer service. Besides your chariot, you can keep all of your outdoor toys and vehicles ready to go with Metro. Whether you need to park ATVs, snowmobiles, motorcycles, or jet skis, our North Wales storage facility is ideally situated at the gateway to numerous state parks in Bucks and Montgomery Counties. Metro Self Storage is open from 6am until 9pm daily 365 days a year for your convenience. We always recommend that you measure your vehicle ahead of time, and invite you to call a member of our North Wales storage team for more details.